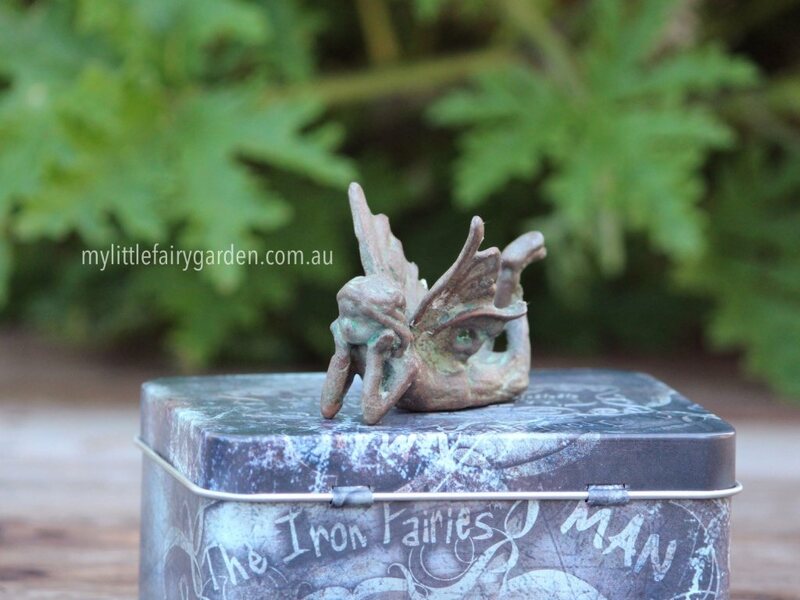 Beautiful cast iron fairy, a creation of West Australian artist Ashley Sutton. See below for more information plus view our blog post on The Iron Fairies. Cast iron fairy statue, a creation of West�Australian artist Ashley Sutton. Over time your fairy will develop a beautiful rust whether it's positioned indoors or out. Your�fairy comes�secured�in a�fabric bag with tie string and contains�a scroll of the fairy's poem, plus�a bottle of�Magic Fairy Dust.�On the first night be sure to place your fairy�in a position where she will receive the next morning's sunlight. She has been made deep beneath the garden's ground and has never seen the sun. Make sure that you sprinkle the "Magical Dust" on her�to set her spirit free! the rose where I was born. Mother Nature smiles at me! - Suitable for indoor and outdoor use.